The work of the Romanian-German artist and filmmaker Aurelia Mihai (b. Bucharest, 1968; lives and works in Hamburg) brings clashing cultural, social, and political phenomena and events into focus. She uncovers cultural traditions and translates them into a contemporary register. 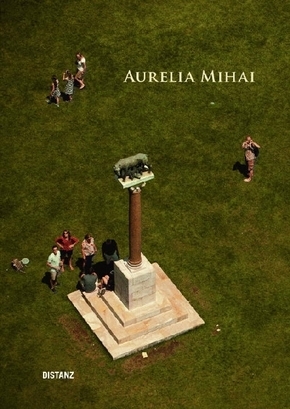 In the works featured in this volume, Aurelia Mihai links aspects of documentation and research with fiction in a multifaceted way. Thus legends and historical incidents are frequently the occasion or the starting point for a sociocritical examination of the present. The various, in part contrasting perspectives and realities that result in the process are artfully woven together in Aurelia Mihai's powerful visual language and merge to become evocative images. With slow camera shots she creates an inquiry into our individual concepts of reality. In doing so, she makes an important contribution to how we contemplate video art. At the same time, she reflects on the medium itself and reexamines it time and again as to how it can be made to express the artist's vision of the past and the present. "LUPA" (2014-2016) is an investigative art project in which a work of ancient art (The Capitoline Wolf ) and the vicissitudes of its history exemplify the accretion of meanings that constitutes an object's contemporary significance. The ensemble consists of an art video, a series of around thirty photographs in poster formats, and this book, which also documents additional projects. The work of the Romanian-German artist and filmmaker Aurelia Mihai (b. Bucharest, 1968; lives and works in Hamburg) brings clashing cultural, social, and political phenomena and events into focus. "Lupa/The She-Wolf" is an investigative art project in which a work of ancient art and the vicissitudes of its history exemplify the accretion of meanings that constitutes an object's contemporary significance.